I studied at the University of Iowa and received my B.S. in Biology in 1999. 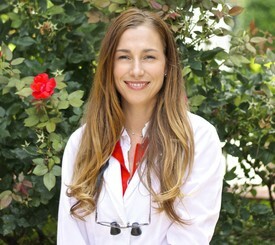 I graduated from The College of Dentistry University of Iowa in 2003 and have been practicing dentistry in North Carolina since 2003. I am married and have three young kids with my husband Norman.